When it comes to the foreclosure settlement agreements and the insufficient punishment of the responsible lenders, it would seem as though it could not possibly get worse. Apparently the lack of attention to detail continues. Once the agreements were reached and there was a realization that the Independent Foreclosure Review process was completely unsuccessful – again due to unethical lenders –checks were finally going to be sent out to the victims. 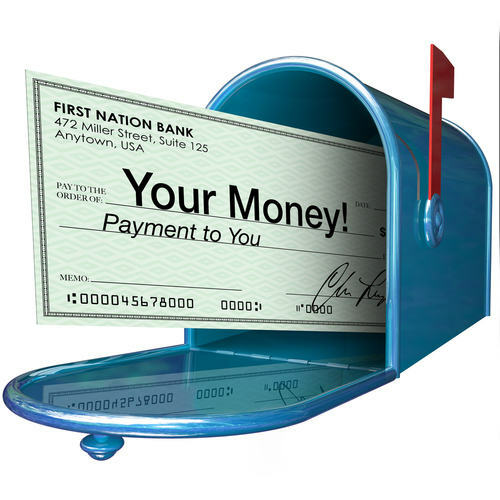 However, once these checks started hitting the mailboxes of many of the recipients, the dissatisfaction was obvious with many people only receiving $300 in compensation. Even the ridiculously-low settlement compensation checks for those who had lost their home due to wrongful lender actions was not a huge surprise. In fact, many people even suspected that the insufficient payments led many homeowners to simply refuse to cash the checks. However, it appears as though that was simply an assumption, with the real reason now being revealed. Now, the truth comes out and yet again there was an effort in this already completely botched attempt to compensate the victims. Apparently 400,000 checks (or one in every ten) were mailed out with incorrect addresses. That’s right – even after the unethical lender actions and the bounced checks, now the issue involves incorrect addresses. This may very well be the reason that only $2.5 billion of the $3.9 billion that was sent out has actually been cashed. Therefore, 10% of the checks that were sent out came back due to incorrect addresses. From lender actions that ultimately resulted in many people wrongfully losing their homes to insufficient payments and now bouncing and returned checks, it is safe to say that this entire process from start to finish has been a complete disaster. Unfortunately, this new news shows that at least 400,000 people are waiting on their compensation checks – still. At the end of the day, all things seem possible when it comes to the foreclosure settlement process. Hopefully, these checks will be sent to the correct recipients soon and once received the victims are finally able to cash these much-deserved payments. In short, even years after the real estate market crash, families are still facing foreclosures and victims are still awaiting compensation.